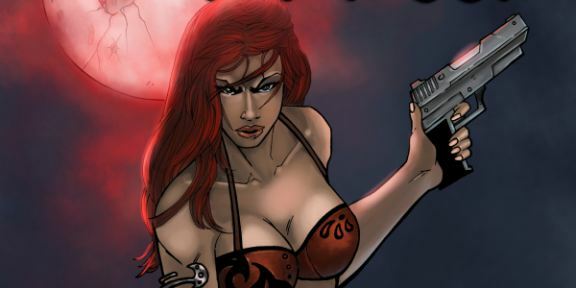 LOS ANGELES, CA – June 1, 2015 – Fanboy Comics (FBC) is excited to PvProclaim that it will publish the sixth issue of the creator-owned series, Penguins vs. Possums, which will be released at San Diego Comic-Con 2015. Finally, the Party Box of the SMASH HIT (by NBC standards) game show, Hollywood Game Night, is coming soon. 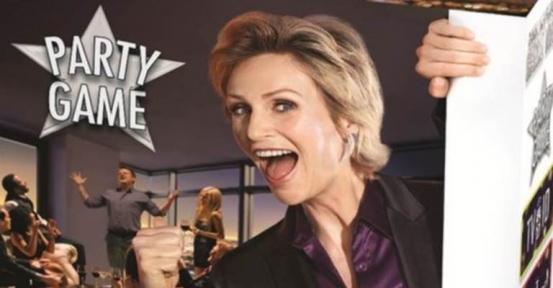 Jane Lynch greets us on the box art with a hearty “Hee-Yeaaa!” while blurry non-celebs have the time of their lives. Walmart customers will get their opportunity to get it the day after Valentine’s Day. Others shoppers will find it in other stores after Walmart’s exclusive window ends. The Party Box is currently available at the NBCUniversal Store for pre-order. Its release there is on 7 March. Cancer fighting hero is back with a vengeance. The Mighty Titan’s second Kickstarter funds in 30 hours. 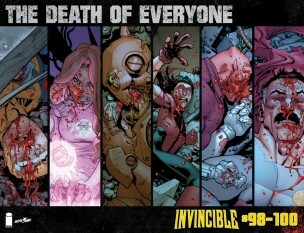 Invincible #100 Mega-Teaser, Image & Whilce Portacio Announce Non-Humans! Invincible #100: The Death of…EVERYONE! The new retro gaming website 1 More Castle has launched.